Bagged 75k after down to only 5k and a nice setup to @KingsOnTilt . Day 2 tommorow woods main. 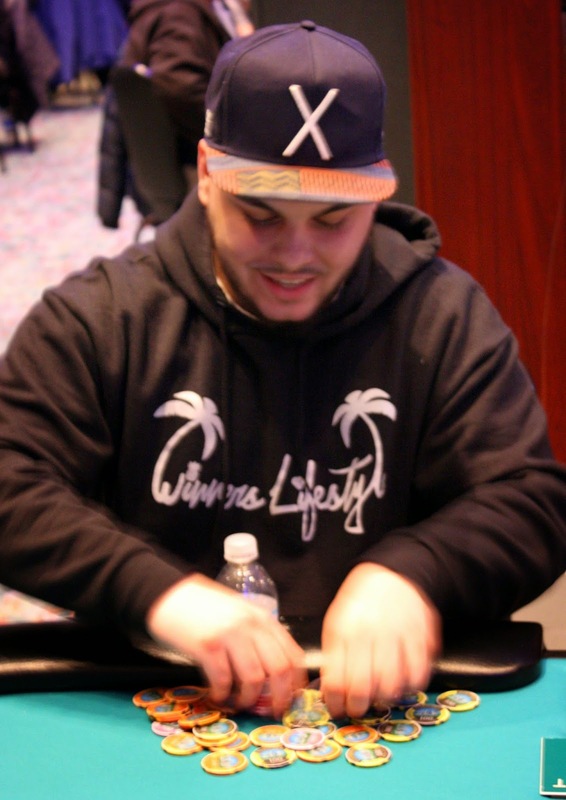 We've been trying to find a way all day to feature Cardplayer Poker Tour $250 4th place finisher Mike Vitorino on the blog. 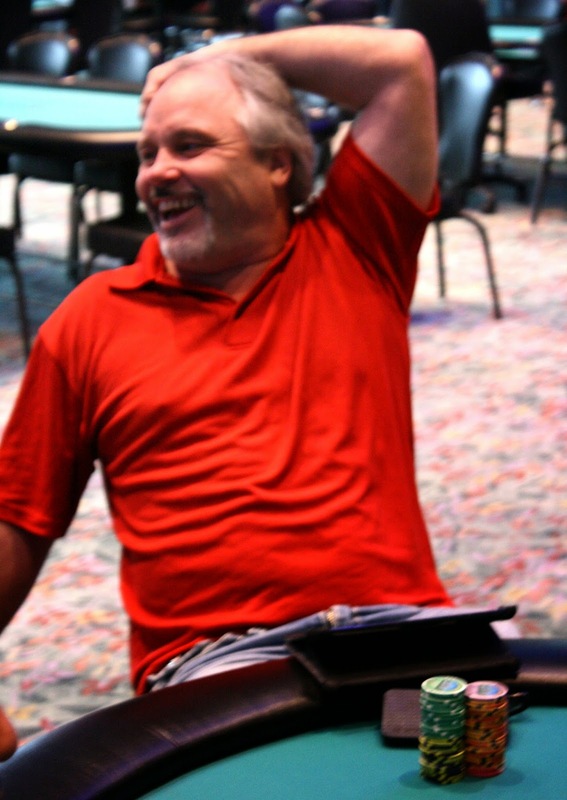 He had been having a tough day, so his table celebrated when Mike finally won a pot. 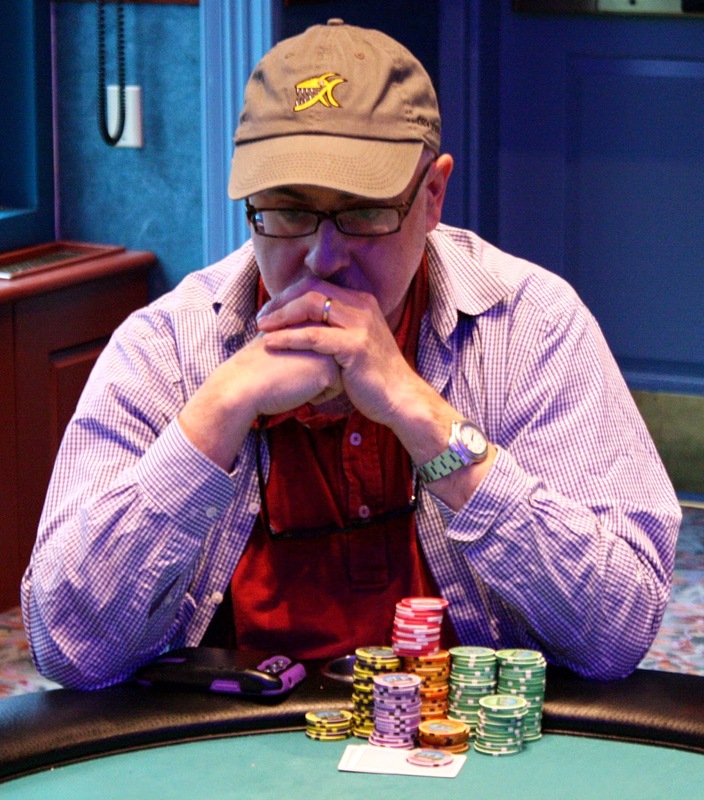 We arrive to the table to see him stacking a nice pile of chips as we near the end of the day. 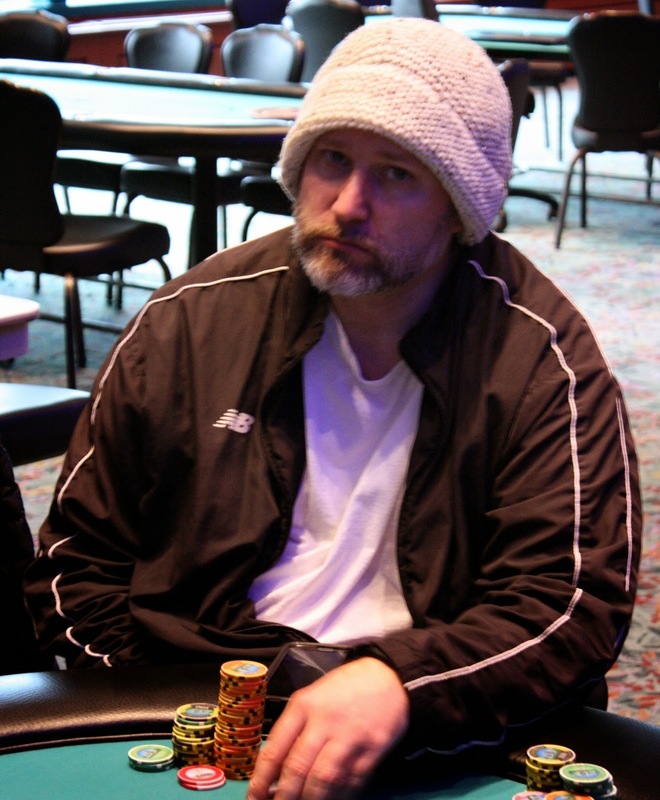 We saw Event #11 2nd place finisher Mark Dickstein headed to the registration desk to re-enter this tournament as he had been eliminated. As Level 10 begins, the re-entry period has closed. The board reads 209 entries for Day 1B, but we will post official numbers when we have them. Andy Frankenberger opened to 1,700 before Fred Paradis reraised to 5,500 from the small blind. 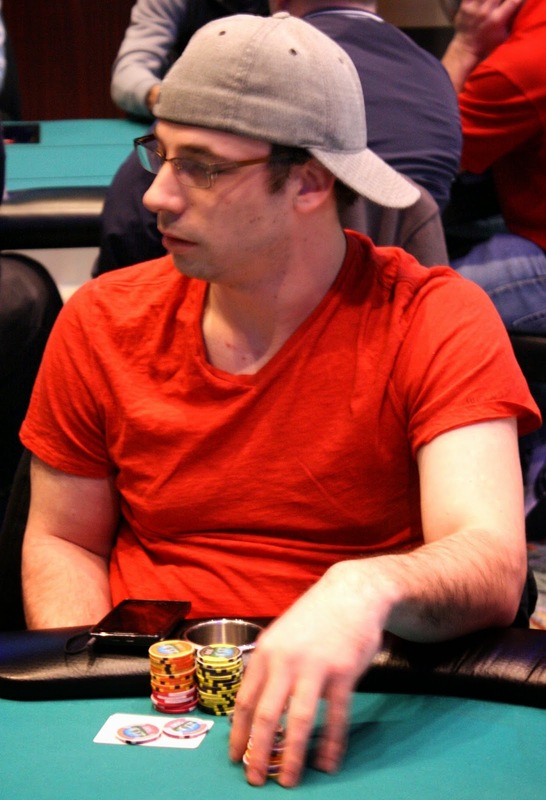 David Grandieri in the big blind cold 4-bet to 13,500, and Fred called after Andy folded. 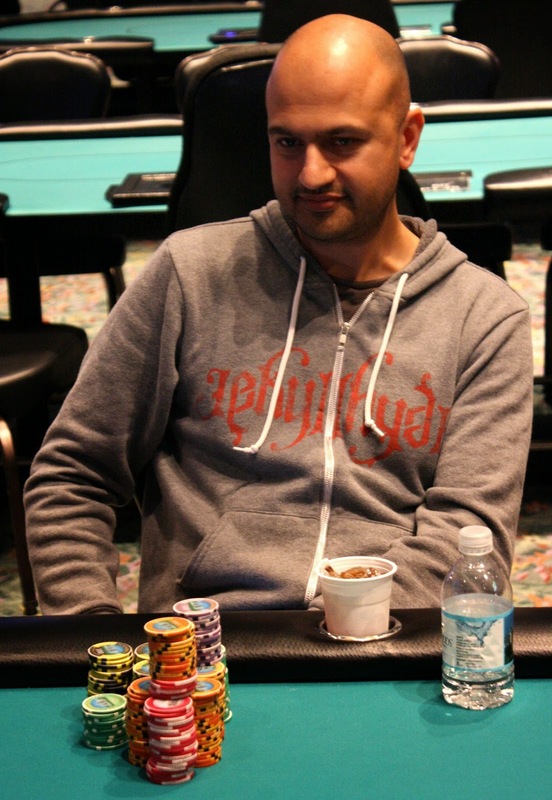 The two checked a [Ac][8h][Th] flop, but Fred led out for 15,000 when the [Kc] hit the turn. David called, and the dealer placed the [4h] on the river. Fred moved all in for just over 22,000 and David went into the tank for two minutes. He eventually made the call, and slammed his fist down on the felt when Fred tabled [Ts][Tc]. 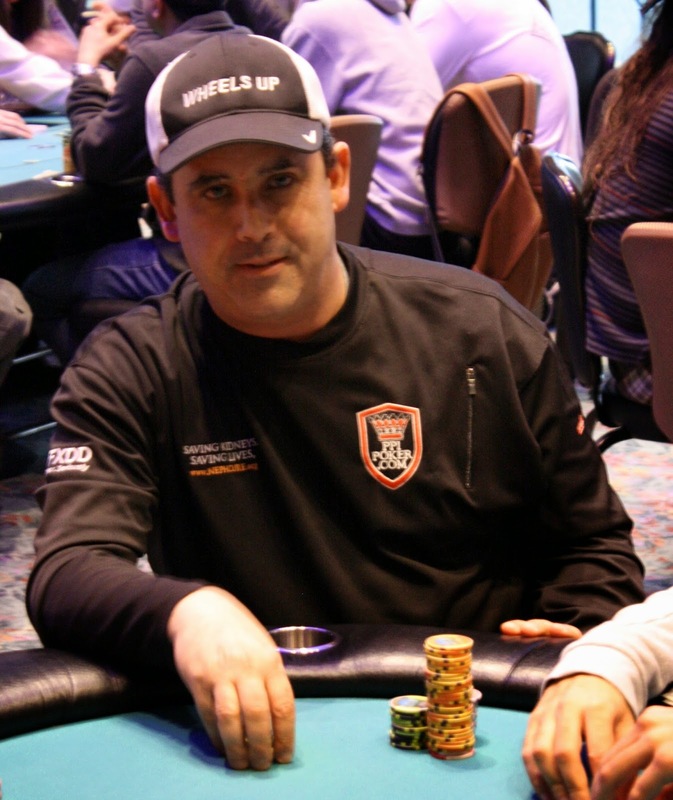 Fred will double up to over 100,000 with just one hour left in Day 1B. Here are updated chip counts as Level 9 begins. The field will play this level and one more before bagging up chips for the night. 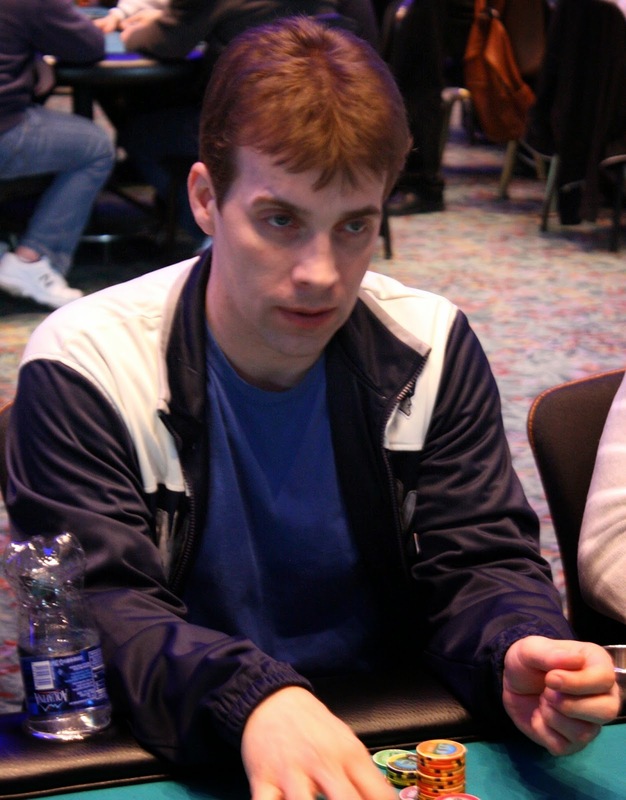 Steve Happas was all in wiht [Ah][Qd] against his opponent's [Td][Tc]. The board ran out [2h][3c][2d][5c][Jd] to eliminate Steve at the end of Level 8. After this hand was tweeted, Steve responded that it was his first bullet and that he would be re-entering. 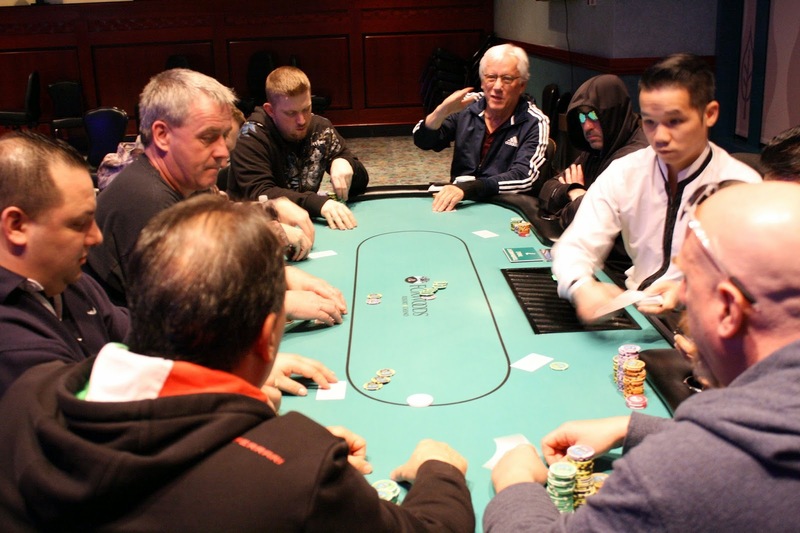 We recently stopped by James Woods table to see if we could catch him winning a pot. While we didn't see him in any big pots, he is still alive in this Championship Event and seems to be enjoying the table talk. James sits on just under 25,000. We went back to Daniel Chan's table to count his stack only to see a board reading [8h][As][Ts][Js][4d]. Mike W. had bet 5,500 and the other player was thinking it over. 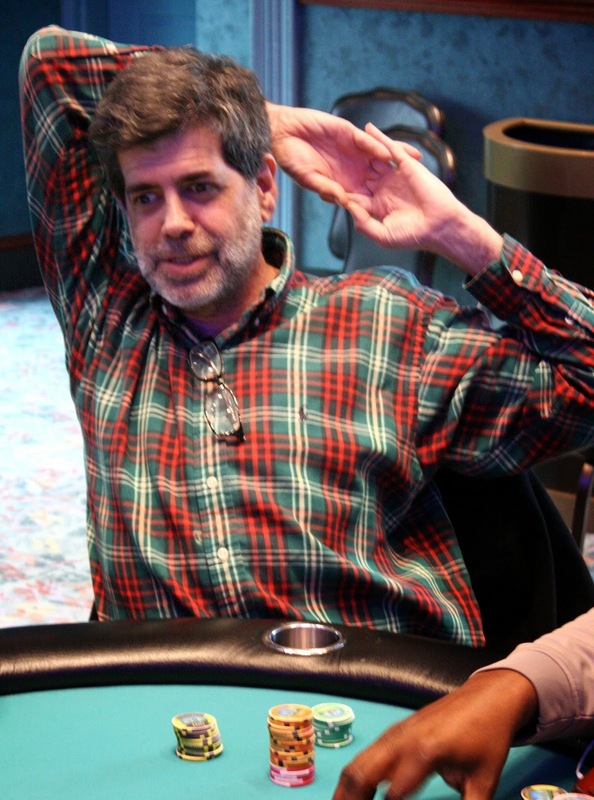 Eventually he made the call, and Mike flipped over [Ks][Qs] for a Royal Flush. His opponent obviously mucked, and the tournament staff came over to get Mike's player card to award him his Royal Flush bonus. On a board reading [Qd][3h][Kh][As][5c], Daniel Chan bet 2,450 and his opponent went into the tank. He eventually made the call, and mucked when he saw Daniel's [Ah][8h]. Daniel now sits on 60,000. 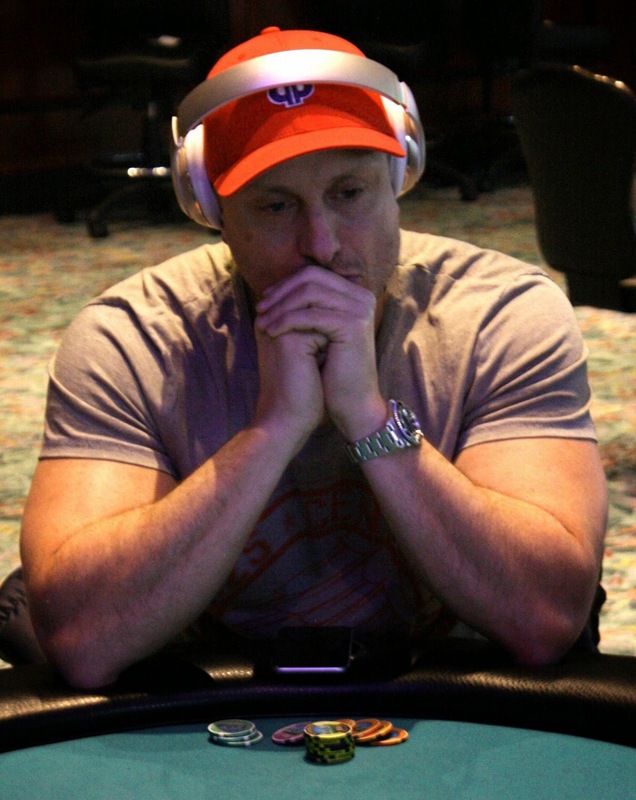 At 250/500 blinds, the UTG player raised to 1,300 and the cutoff and hijack made the call. 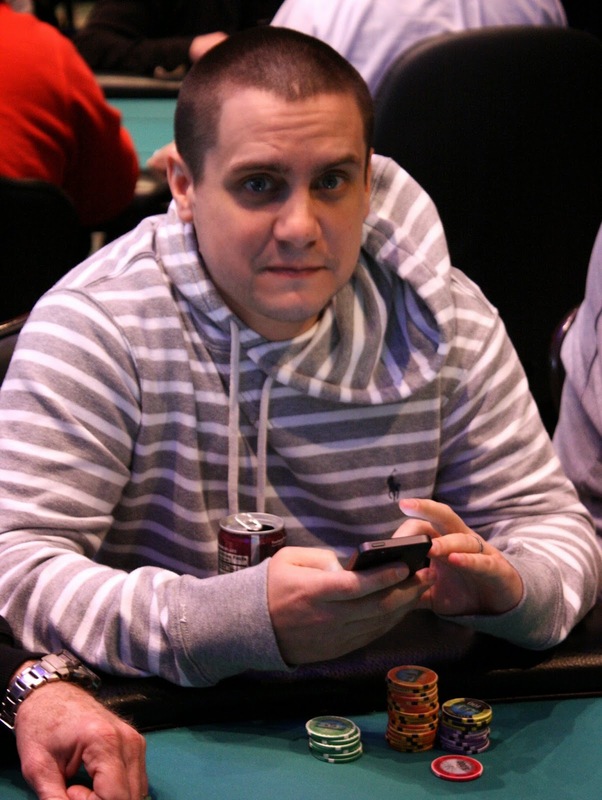 Mike Nye on the button bumped it up to 4,500, which UTG and the cutoff called. 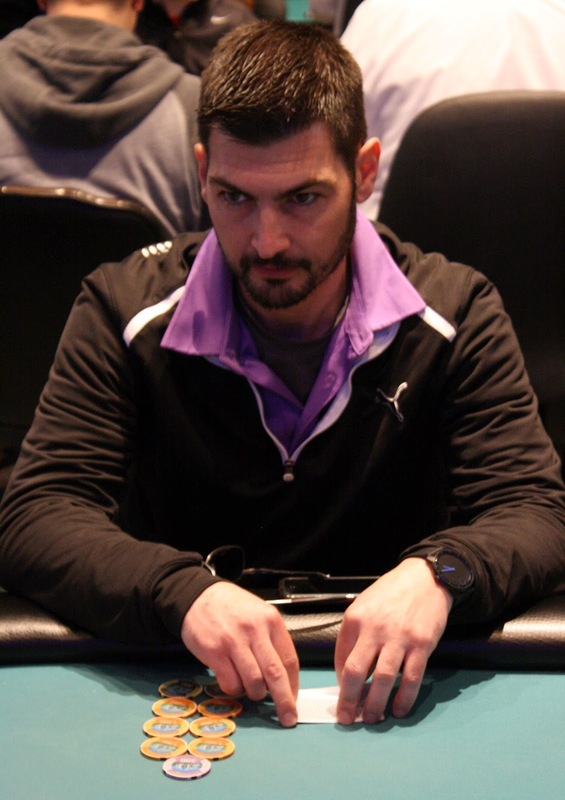 The dealer spread the [9s][2s][6d] flop, and both players checked to Mike, who continued for 8,000. 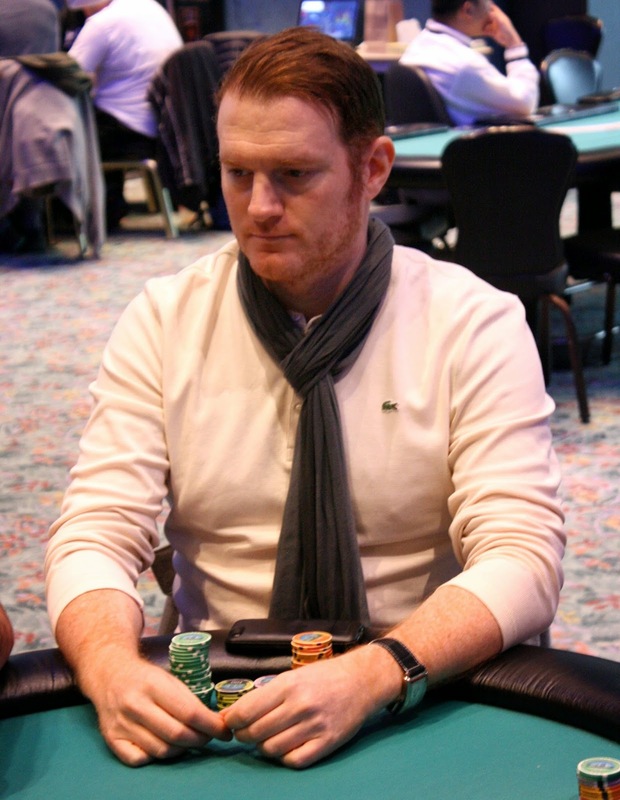 After the two opponents folded, Mike collected the pot. 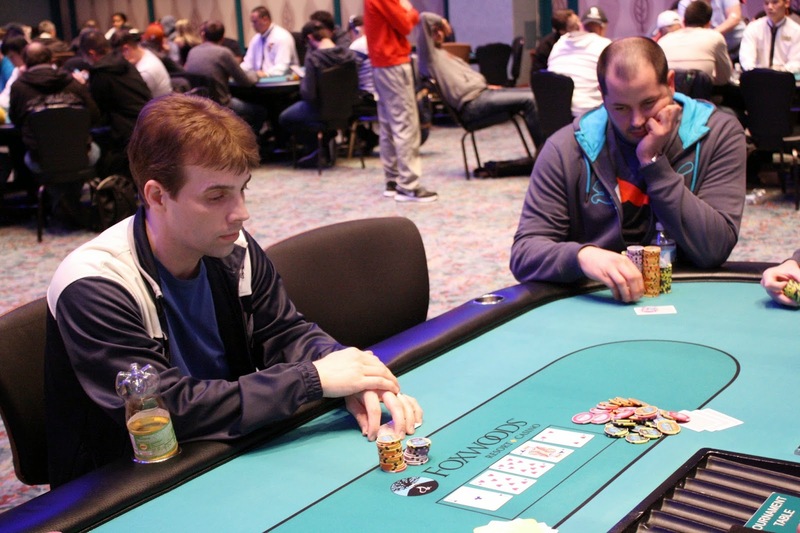 On a [2h][6h][8c] flop, Chris Tryba called his opponent's all in. Chris held [Qh][Qc] but his opponent had flopped a set with his [2s][2c]. The [Kd] turn was close to the card Chris wanted, and the [9h] river meant Chis would have to ship over about 40,000 chips. Chris now sits on 32,000. We didn't see the hand, but we noticed Ryan Eriquezzo's seat was empty. 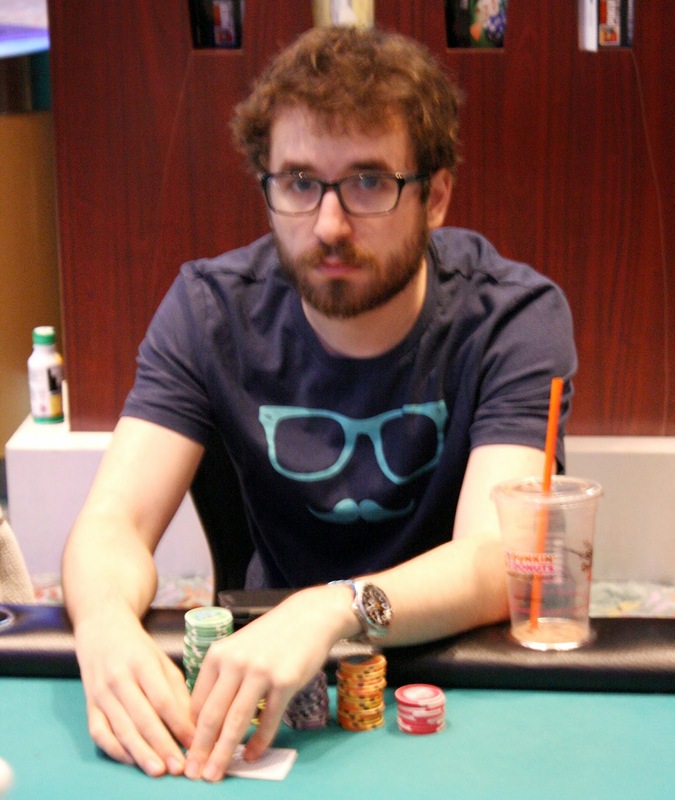 It looks as if he has been eliminated from Day 1B. 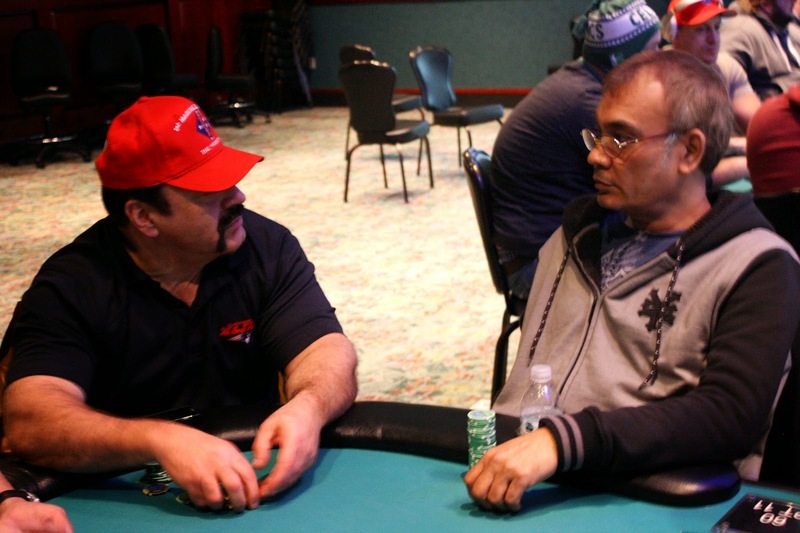 Players in the $2,700 Championship Event Day 1B are now on their one hour dinner break. Blinds will be 250/500 with a 50 ante when they return at approximately 6:30pm EST. The average stack is just over 41,000. There were a total of 72 entrants from Day 1A, and 23 survived. Registration is still open for Day 1B, but so far there have been 181 entrants, with 132 remaining. With 253 entries, that would make a prize pool of $613,525, surpassing the $500,000 Guarantee. 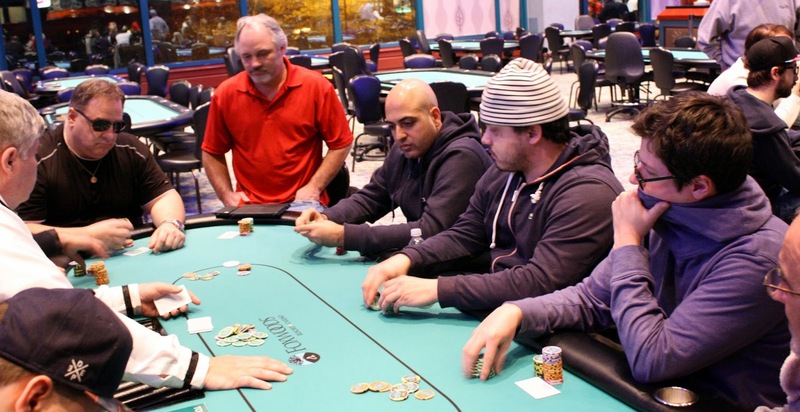 The 2014 Foxwoods Poker Classic Championship Event had 226 entrants for a $548,050 prize pool. First place prize was $133,177, so the first place prize this year should surpass that number.